2- The size of works should be smaller than 297mmx420mm. 4- Each entrant should provide title, name, age, address, career, e-mail, and telephone number an reverse. 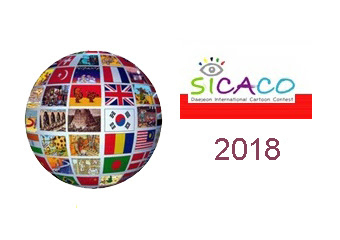 7- The most creative cartoon will win the Grand Prize of $3.000, Gold Prize of $1.000, Silver Prize of $500, Bronze Prize of $300, and 300 selected works will be awarded. 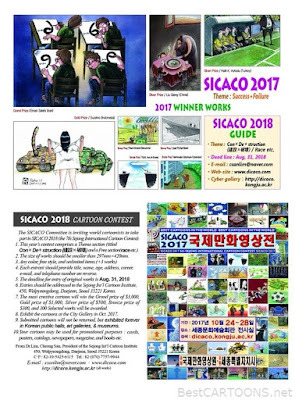 9- Submitted cartoons will not be returned, but exhibited forever in Korean public halls, art gallaeries, & museums. 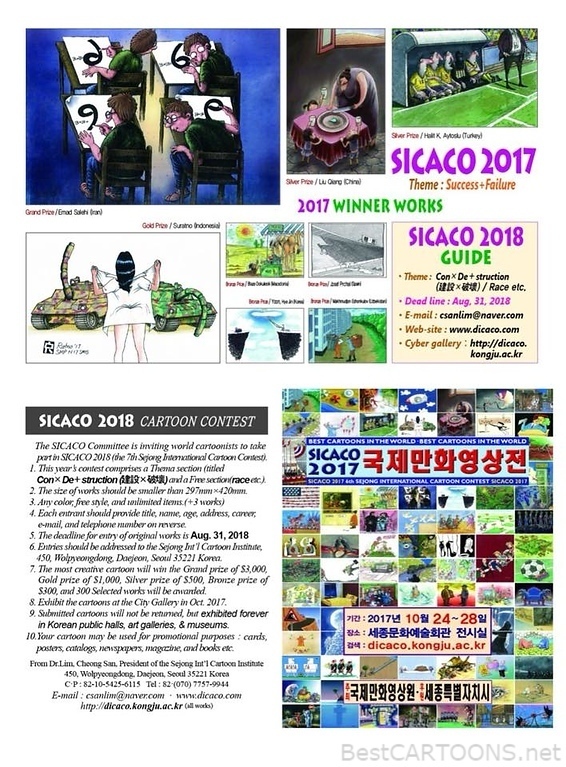 10- Your cartoon may be for promotional purposes: cards, posters, catalogs, newspapers, magazine, and books etc.